Throwing this one up here since I am still working so hard on getting Pilar in shape. 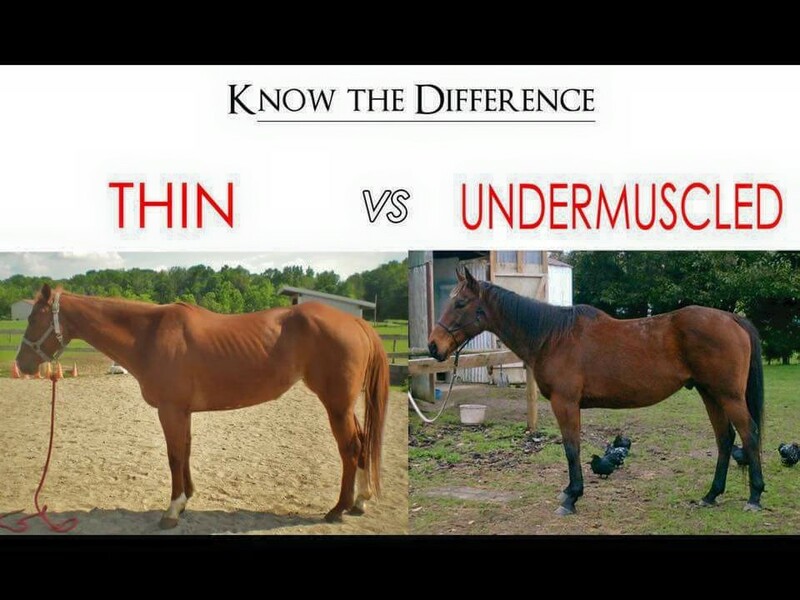 She’s a bit of both, although mostly undermuscled, and she is making steady improvements. It’s been interesting to observe, though — and Logan certainly looked like the picture of the thin horse when we acquired him a year and a half ago. Note the different head positions in the two picture. The thin horse’s posture is tired and indifferent, the neck entirely straight. The undermuscled horse, comparatively, has ears perked up and is carrying his head rather than just let it hang off the end of his neck.